Can't get enough seeing hot chicks drive fast cars? 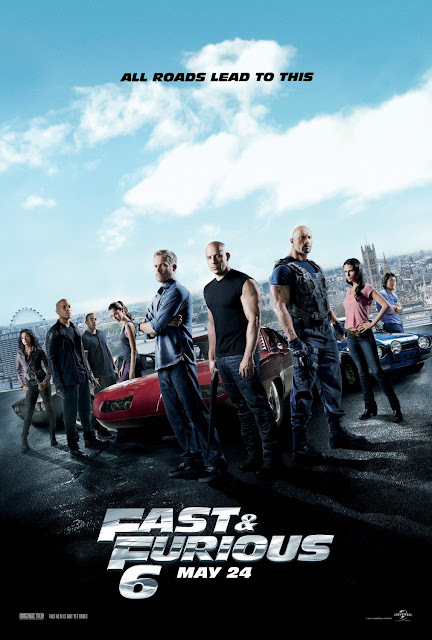 Then you're in for a treat with the 6th installment of Fast and the Furious franchise. Fast & Furious 6 builds on the plot of the last 3 franchises of the said film. Topbilled by some of Hollywood's biggest stars, this movie surely has a lot of fans. Hobbs has Dom and Brian reassemble their crew in order to take down a mastermind who commands an organization of mercenary drivers across 12 countries. Payment? Full pardons for all of them so they can return home and make their families whole again. The story goes like this: Luke Hobbs, the criminal tracer, has been tracking a man named Shaw who's a former military man who headed a mobile tactical unit. And when Hobbs finally gets a lead on him, he decides to recruit Dominic Toretto to help him get him. He goes to see Dominic and tells him that his girlfriend, Letty whom he thought was dead, is alive and part of Shaw's crew. So Dom calls Brian, Roman. Han, Tej and Gisele to help him. And they go to where they think Shaw will make his next move in London. When Hobbs makes his move, they learn that Shaw played them and they try to get him but he's too good. Fast & Furious 6 is an action-packed film. This may actually be the most heart-pounding and breath-taking film of the entire series. The cast is still an all-star one from Vin Diesel to Dwayne "The Rock" Johnson to Michelle Rodriguez to Ludacris...fans will surely go gaga over this film. Rated PG-13 in most countries, anyone can watch it, even kids as long as they're accompanied by adults. With a budget of US$160,000,000, you can expect nothing but the best effects and scoring. I highly suggest that you watch this film as it puts an end to the mysteries and problems shown in its prequels.